Really impressed with that cpu back in the days when it was new... good overclock and cool temps. Beast of a processor I got for free. Stock clock is 3400, it'll safely OC to 4800 without problem. Keeps up with some stock i7 4000 series chips. This chip is old, but it overclocks like a champ. Hard not to give 5 stars except it needs to be clearer that an extra cooler is needed. Otherwise amazing and stood up to anything I threw at it. Awesome CPU but irrelevant right now because of the lack of motherboard availability. Still a nice CPU in 2018. Fantastic CPU that is still going strong into today's games. 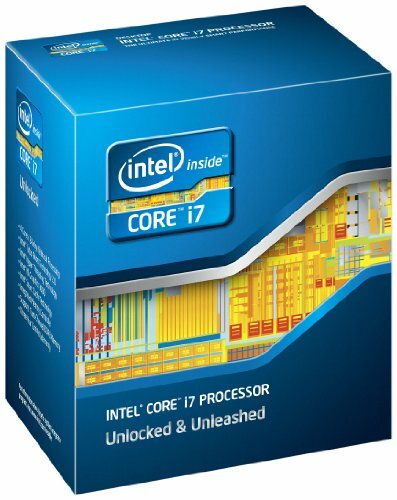 In 2015, I was still rocking on an i5 2500k and I felt like to upgrading because I noticed my GPU being bottleneck in some games such as GTA 5 so there was an opportunity for me to pick up the i7 2600k for £110 and I haven't looked back ever since. GTA5 was no longer being held back by the 2500k and more and more games were using more threads so it looks like the upgrade paid off!